Home » Media Vend » Engage, reward and boost sales with our winning app! Back in 2017 we launched vending’s first loyalty and reward app: Pay 4 Vend. We’re proud to report that it’s been a real game-changer. Pay 4 Vend has revolutionised the way we vend, the way brands promote their products and the way comsumers view vending. It’s created product push and pull. It’s built loyalty worth its weight in gold. And it’s boosting sales for everyone along the way. Keen to know more about Pay 4 Vend? Pay 4 Vend does what it says on the tin. It allows consumers to upload credit to their app so they can pay for their Broderick’s vending purchases, on the move, with no fuss. What they get in return? Virtual raffle tickets that access money-can’t-buy competitions, special offers tailored to their lifestyle, first-to-know news, and even job offers. Brands like Walkers, Kinder Bueno, Red Bull, Vimto, Food Doctor and Nestle are just some of our success stories. Using Pay 4 Vend as a launch pad for new products and promotions, our partnership competitions (think M&Ms sending a winning customer to New York!) capture real-time, GDPR compliant data, encourage engagement and support on-pack or bespoke promotions. Driving repeat purchase, it’s a great way to build loyalty. How did we make the magic happen for M&Ms? Read more here. Activate Pay 4 Vend on your machines to capture market share in your area. Packed with promotions and loyalty offers, consumers keep coming back for more. With the option to upload payment mechanisms including Apple Pay and credit cards, there’s just no barrier to purchase, driving sales and revenue generation. What happened when Manchester’s universities sent their vending estates cashless? See our case studies at Manchester Metropolitan University and Manchester University. The chance to win a trip to New York with your coffee? A snack with a side of sizzling deals? And £5 credit to your account when you first sign up. All that and no need to faff with cash. Enough said. 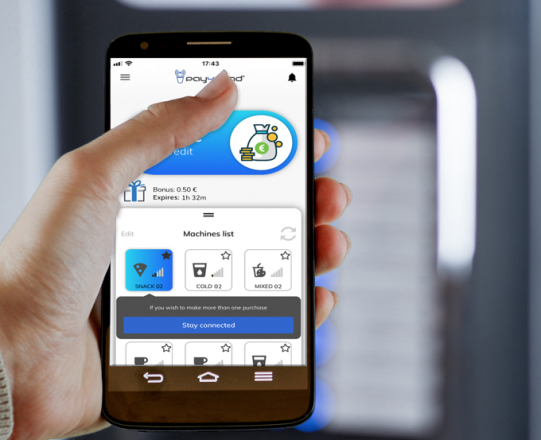 The app was developed in partnership withItalian tech giant COGES and students at Manchester Metropolitan Business School to create a vending first. The technology piloted with Manchester Metropolitan University in 2017 and has captured the imagination of many more universities and organisations since. Why not give us a call on 0161 945 2020 to discuss Pay 4 Vend at your location? 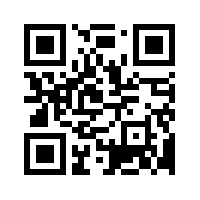 Download your app on Apple or Android. Are you a brand keen to run a competition? Get in touch.